About the Flandreau Santee Sioux: The Siouan language family, including Lakota-Dakota-Nakota speakers, inhabited over 100 million acres in the upper Mississippi Region in the 16th and early 17th centuries. Conflicts with the Cree and Anishabe Indians, as well as the lure of the Great Plains’ buffalo herds, impelled the Sioux to move further west in the mid-17th century. The Dakotas lingered longer, remaining on the prairies of western Minnesota and eastern South Dakota. The Santee established villages around the Mississippi and lower Minnesota Rivers and began hunting buffalo communally. History of the Reservation: The terms of the Fort Laramie Treaty of 1868 allowed the Santee Sioux to homestead if they renounced their tribal membership. Seventy-five families chose this option and homesteaded near Flandreau, South Dakota between 1868 and 1873. The government established a boarding school in Flandreau in 1870. In 1929, the community voted to establish itself as the Flandreau Santee Sioux Tribe. Six years later, the community asked Congress to establish it as a reservation under the Indian Reorganization Act of 1935. The Reservation adopted a tribal charter in 1936. 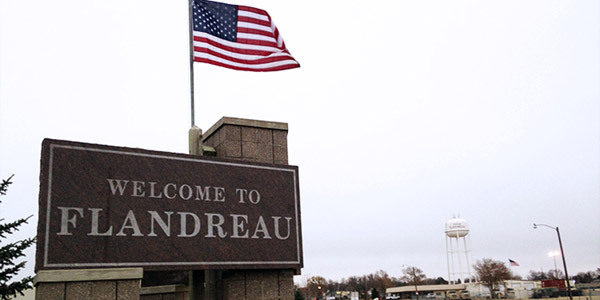 Unlike most Sioux reservations, which hold popular elections, the Flandreau Reservation is governed by an executive committee. 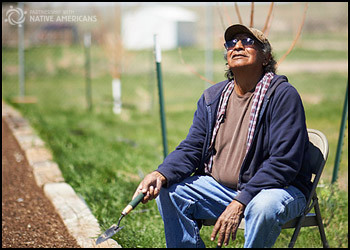 Life on the Reservation: Through the Indian Self-Determination Act of 1976 the tribe manages a number of Bureau of Indian Affairs and Indian Health Service programs. The Tribe currently operates a moderately successful casino which is the main source of jobs on the Reservation. Also the farming and leasing of their acreage provides tribal income. The Bureau of Indian Affairs continues to run the historic boarding school in Flandreau. Flandreau on the map: Moody County, South Dakota.